I like to keep things simple, running included. My favorite type of run is a trail run because it’s about the process, not the details. The thought of running around in circles on the track just doesn’t have the same appeal to me as exploring a new trail. However, at the end of last summer, I decided I wanted to end my season of trail marathons by qualifying for Boston on the road. There was no question in my mind that I had the endurance and strength needed for the race, however speed was another story, I spent my remaining month of training focused on speedwork. I know a long run doesn’t typically fall in the speed category, but I’ve included it because I believe pacing the long run correctly is essential to a runner’s overall training and recovery. 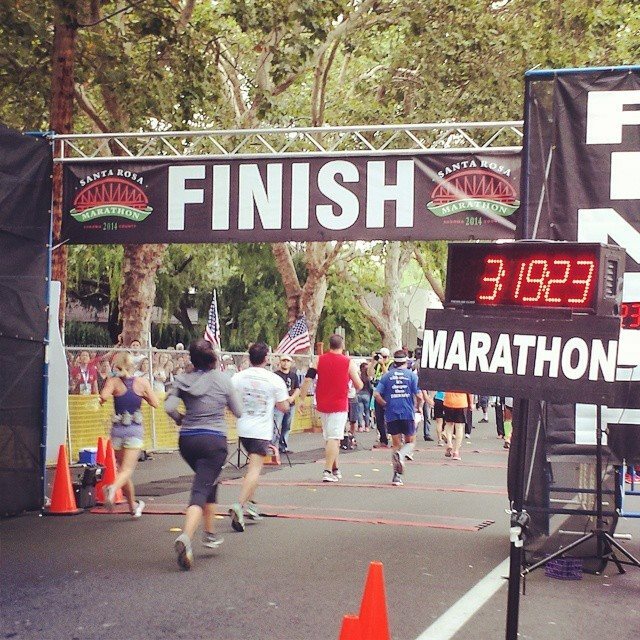 The majority of a long run should be done at an easy pace, 60-90 seconds slower than marathon race pace. That means one should easily be able to chat the entire time. If three-quarters of the way through the long run, you’re feeling strong, pick-up the pace by 30-60 seconds. When in doubt, start a little slower than you think you need to, so you can finish a little faster. 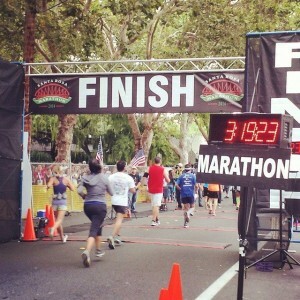 Finishing strong gives you a great mental boost and keeps you motivated to train. There are lots of different ways to do tempo runs, of course, I like to keep it simple. I run about 6 miles at a challenging pace that is doable, but requires some mental toughness. I use a weekly group run because running the same course helps me pace myself, push myself and monitor my fitness. A tempo run should be done at pace that you can maintain for an hour, that means it’s a little slower than your 10K race pace, but little faster than your half marathon race pace. Your breath should be smooth, but you shouldn’t be able to tell your life story to your running buddy. How do you work on speed?